Vintage 1970s French-cut trousers by Dorothy Perkins. Princess Mimi loves French cut trousers - but then, the Prince Consort is definitely a man to notice a girl's behind! 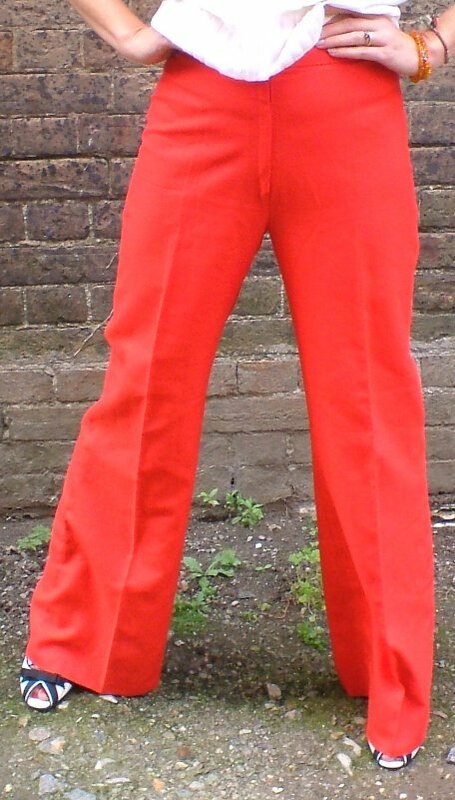 Dating from the 70s, these pants have a wide waistband with fly-front, are made from a polyester/viscose mix, and are indisputedly RED!!! French cut trousers fit closely around the rear, then fall straight in the leg; so these are wide trousers, but not flares, bell-bottoms or boot-cuts. 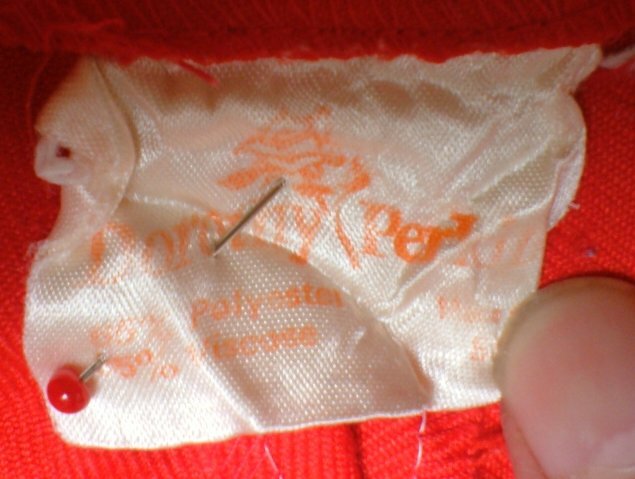 They are in excellent condition, although well-worn - the Dotty P label is faded and hard to read. They are marked, however, as a size 16 (but see measurements below) and can be machine washed at 40 degrees. I'm not sure what happened here - it just shows you can't trust a photographer to tell you you are properly (or improperly?) dressed! Approximate measurements are: waist 30½ ins/77.5 cms, hips 40 ins/101.5 cms, inside leg seam, 33 ins/84 cms width at hem 25 ins/63.5 cms. Go get 'em!